Excellent two bedroom flat on the upper floor of an apartment block. 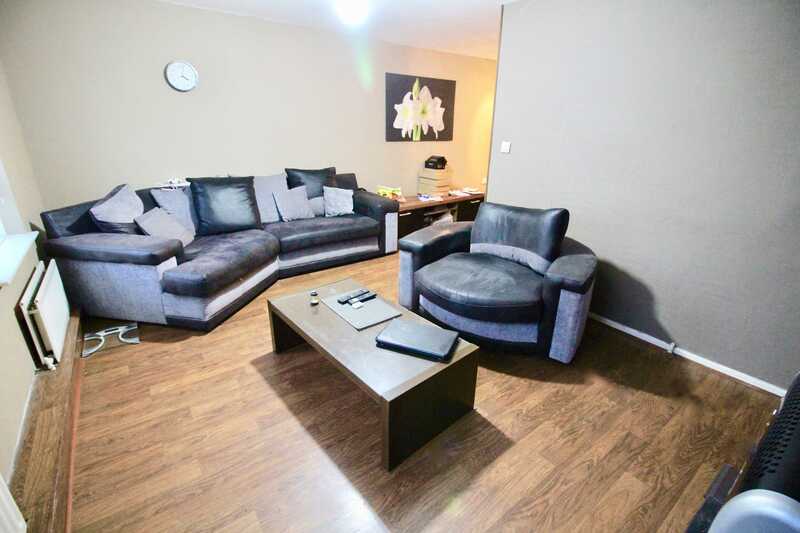 This fabulous find is very conveniently located just 5/6 minutes* away fom Newcastle College and less than 20 minutes* from St James' Park in Newcastle city centre. Offered with vacant possession this property would make a great home for a first time buyer and a fantastic investment opportunity. Access to the building is via a communal front door which is just a few steps away from the front door to this property. Once inside there is a private staircase with just a few steps making this a very unique split-level property. On the first level is an inviting living room with an electric fireplace and two double glazed windows facing out from the rear of the building. Tastefully decorated with neutral colours and wood effect flooring, this would be a great space for cosy nights in. Also on this level is a kitchen complete with wall and floor units with a roll top work surface and an inset stainless steel sink with drainer area and mixer tap. There is a gas cooker point and space for a freestanding fridge/freezer. Plumbing and space for a washing machine is behind a sliding door which is ideal for keeping the noise to a minimum when in use. Ceiling light and linolium flooring. This double room has a double glazed window to the front, a radiator, carpeted flooring and a ceiling light. The modern bathroom has been tiled with a range of black tiles and features a vwhite three piece suite comprising of a hand wash basin over a vanity unit with storage space, a low level WC and a curved corner shower with sliding doors.